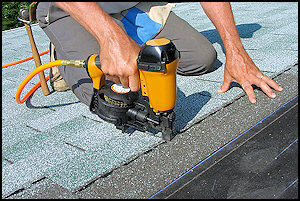 If you are needing to just have an old roof replaced or a storm just rolled through and you have a damaged roof, we can help. Did you know that hail as little as 1/2" also known as marble size can have an impact on your homes roof, windows, screens, fence, siding, patio furniture and much, much more. We can help you with all of these issues even if it caused havoc on the inside of your home such as sheetrock damage, flooring, etc. We just want to help you help yourself even with meeting with the insurance adjusters on site so you don’t have to worry about the headaches alone. Windows and more strive on using only the best high quality name brand shingles and metal roofing materials on the market today backed up by great manufacture warranty and 2 year workmanship. So rest assure as we will make sure you are getting the best product and work done to prevent you from further issues down the road. 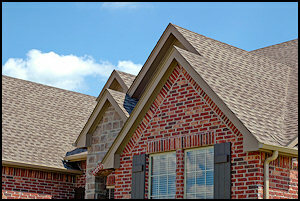 We are also fully insured to protect your home and you. We at Windows and More would like to thank you for visiting our website and if you have any questions please don't hesitate to call our main office at (817) 560 -3667 as we would love to answer any questions. Please take advantage of our in home visit so we can set you up for a Free estimate. 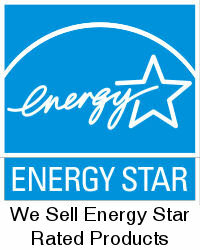 We at Windows and More strive on a NO HASSLE and easy going process to help make this decision worry free.